Pygmalion has announced the initial lineup for its 2015 incarnation. This year includes Ride, Purity Ring, Jimmy Chamberlin, Sylvan Esso, tUnE-yArDs, Zola Jesus, Strand of Oaks, Ryley Walker, Bully, Beach Slang and more. A yet-to-be-announced headliner is also confirmed but will be officially announced in the summer, alongside dozens of support acts. 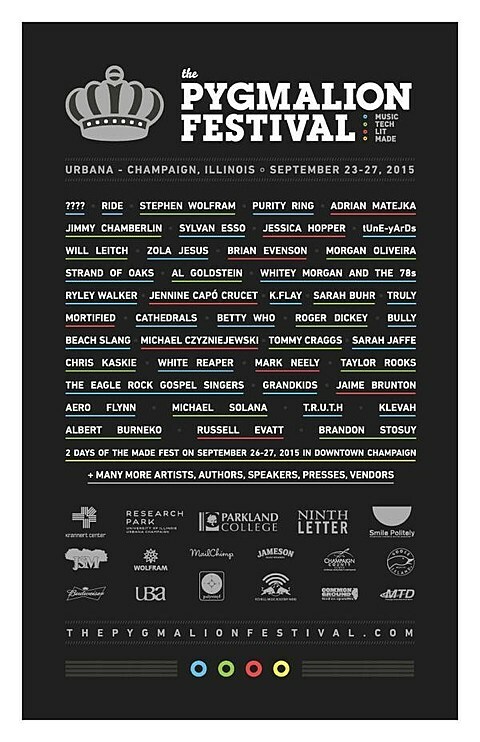 The fest will again take place in Champaign-Urbana between September 24-27. Tickets go on sale Friday (May 8th) and can be purchased at the festival’s website. Ride are currently on the road and recently announced an expanded tour. Tour dates over at Brooklyn Vegan.